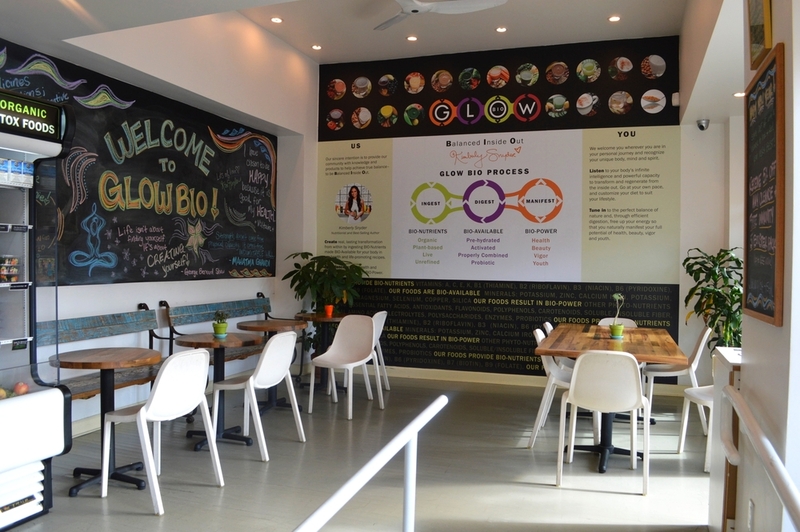 Far, far away from the cold in CLT, I woke up in LA on Friday morning to all things happy…blue skies, sunshine & palm trees and on a mission to check out Kimberly Snyder’s Juice & Smoothie Shop, Glow Bio. I googled the address, popped by the hotel front desk and found out that it was about a 2 mile walk straight down Melrose Ave. Still feeling sick, a long walk was the perfect way to get in a little exercise + soak up some Vitamin D.
Side Note: Not knowing where the heck I was, my 2 mile walk down Melrose felt more like 10 and seemed to lag on forever. lol Isn’t it funny how that works? ?… when walking/driving somewhere for the very first time it seems like it takes so long, but once its familiar, the distance suddenly becomes a lot shorter. 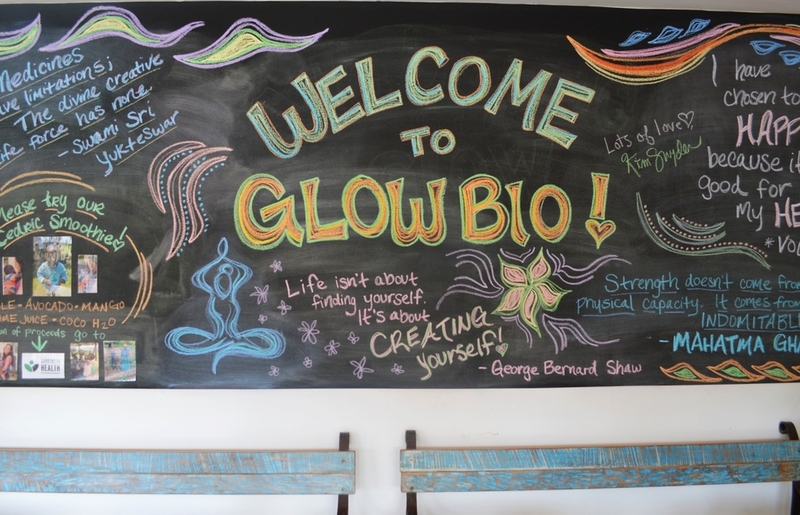 So, with that being said…I finally, finally (haha) made it to Glow Bio and stepped inside to a happy, light & vibrant shop with super sweet & helpful employees. As always, my juice & smoothie crazed self wanted to order everything on the menu — the juice & smoothie menu descriptions/ingredients all sounded so amazing! 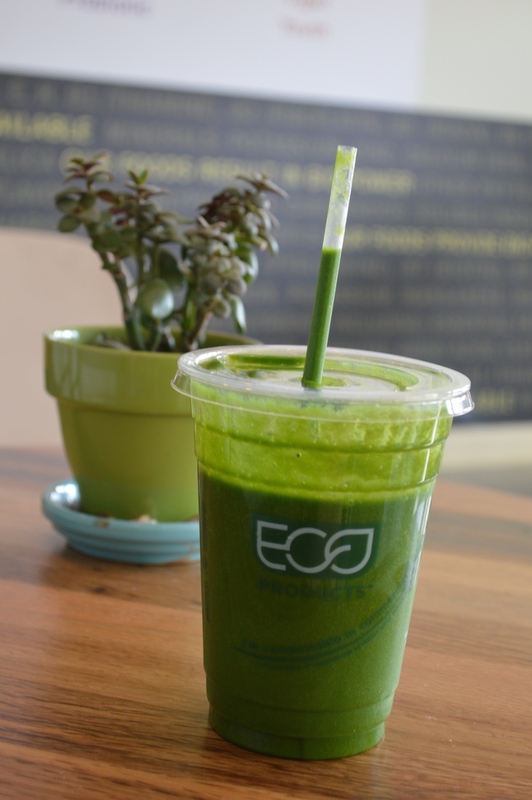 After staring at the menu, I decided to make things easy on myself and simply go with the GGS – Glowing Green Smoothie, Kimberly’s most famous green smoothie. Along with my smoothie, I bought several health boosters – Immunity, Debloater, Lemonaide, Bee Pollen & Supreme Soother (pretty much all of them!) + some raw cacao balls (YUMMM) to take back to the hotel & enjoy over the next few days. 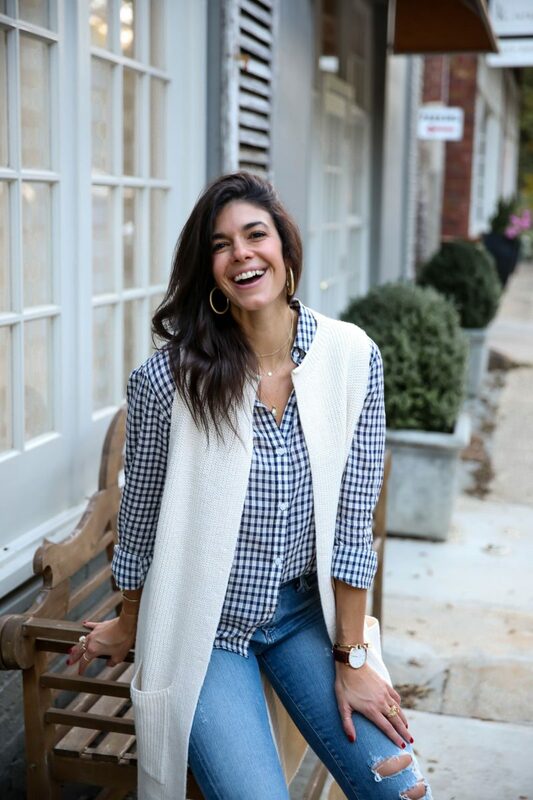 If you didn’t already know of or follow Kimberly, you should no doubt start following her on Instagram @_kimberlysnyder. 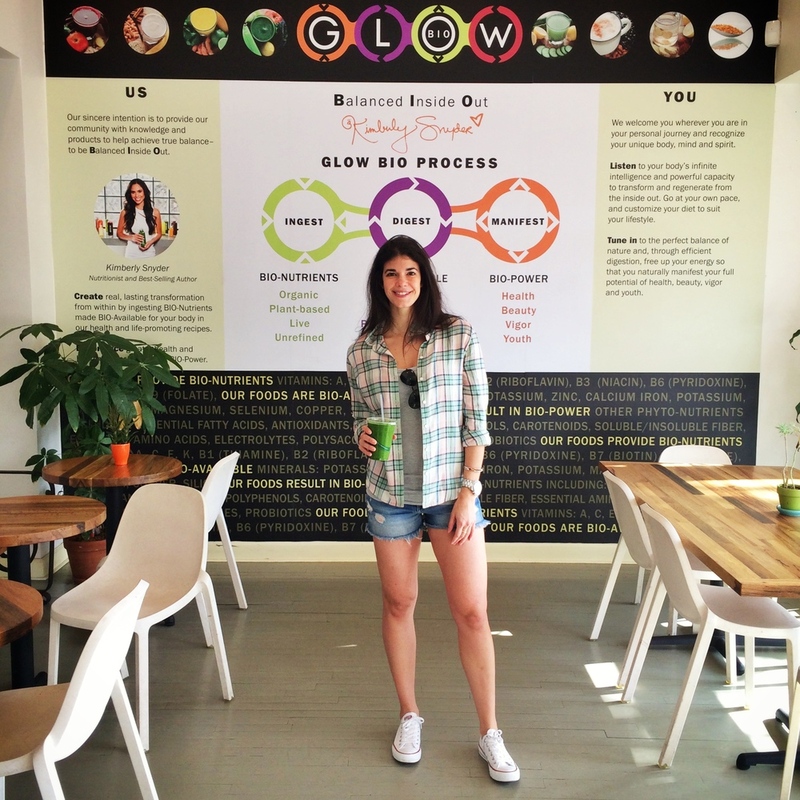 She is such a beautiful source of inspiration, sharing her wealth of knowledge on all things healthy, happy & positive!